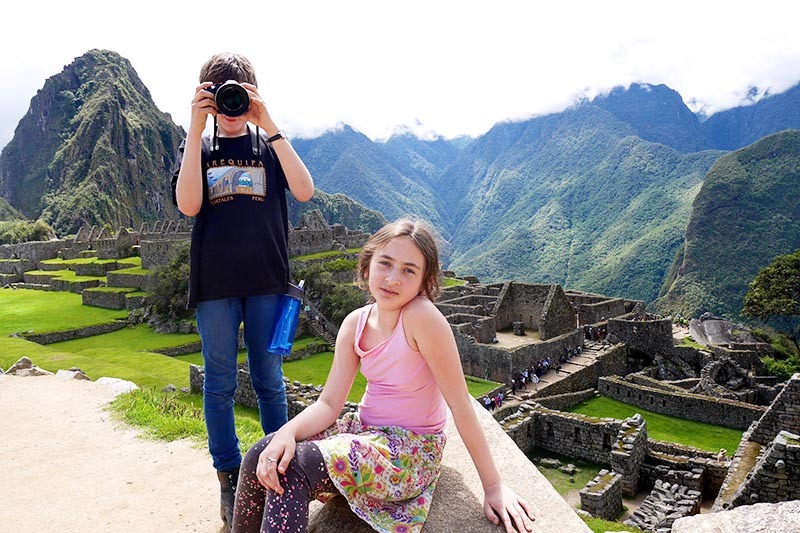 Travel with children - What ticket Machu Picchu should I buy? The historical and natural sanctuary of Machu Picchu is one of those places that are magical and that can be visited by all. And there’s nothing better than enjoying this incredible experience as a family. If you have children at home, they will be fascinated and delighted with the idea of visiting one of the 7 wonders of the world. Children have endless fantasy and Machu Picchu is ideal to give free rein to your imagination. A family trip to Machu Picchu turns out to be a great experience, since to get there you will experience many emotions. Cusco is the beginning of the adventure, a large open-air museum with Inca remains and colonial constructions that will attract the attention of your little ones. The journey continues to travel through the beautiful Sacred Valley of the Incas, and then board in the town of Ollantaytambo and its fantastic ruins, the train that will take you to Aguas Calientes. The train trip will be a great experience for your cocky ones. The trains that go to Machu Picchu usually have very wide windows in their different services, which will allow them to enjoy in an exciting way the beautiful Andean and jungle places of the whole trip. A trip like few. Already in the very small cosmopolitan city of Aguas Calientes you can stretch your legs and leave your children free to walk, since in Agua Calientes there are no cars, and the few that there are are buses that will take you to the Inca citadel and some others that are only for commercial transport or cargo. You can tour the town and visit some of its attractions. Remember that to go with children you must arrive a day early to this town to be able to climb the next day to Machu Picchu. Which ticket to Machu Picchu to choose? Machu Picchu has 4 types of entry to enter it, each of them offers a different experience. But if you come with children, maybe not all experiences are suitable for them. Below we will see that you offer each ticket so that you can see which is the most suitable ticket for you and your children. The ticket most requested by visitors to Machu Picchu allows you to visit the Inca city and in turn climb the mountain Huayna Picchu. Climbing to Waynapicchu can be done by people over 12 years, since the trails to reach its top are quite steep and has a degree of difficulty that is not suitable for children, so if you come with small children is not recommended this option. Definitely this is the most suitable entrance to visit Machu Picchu with children. With it you can tour the entire Inca city, know its temples, precincts, palaces, platforms and many more. You can also do some short walks with your children, such as the one to the Intipunku, which will take you a couple of hours at most, with a smooth ride. It will be a fantastic and very rewarding experience that your children will not forget. Also, if you wish, you can add to your experience the view of the Machu Picchu site museum, so your children can learn more about the history of Machu Picchu and see some of the artifacts found in the Inca city. The Ticket Machu Picchu + Museum, offers a cultural and educational tour. 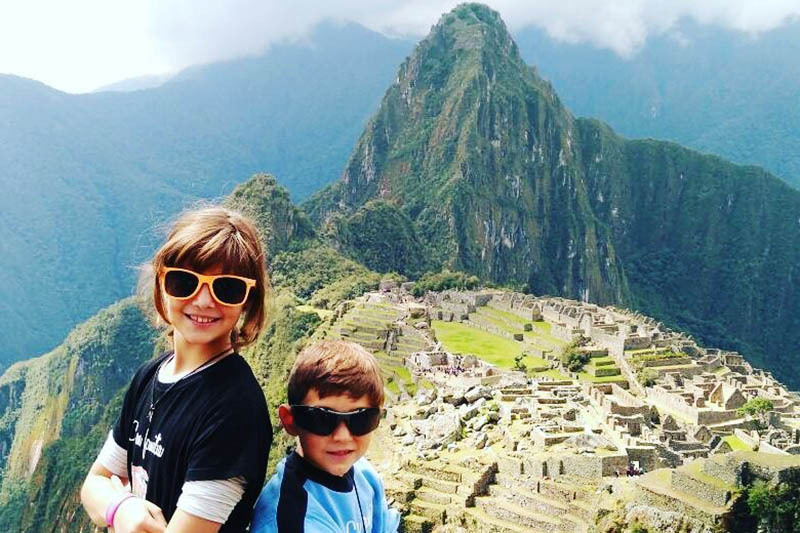 As you can see, you will have more than one experience for your children in Machu Picchu and depending on their age you can live more adventures with them. Minors have a special discount to purchase their Machu Picchu ticket. Children under 8 years of age enter freely to Machu Picchu. You must carry with you the identity documents of the children or minors with whom you will enter the Inca city. Be sure to bring the necessary things for them: hats, sunscreen, insect repellent, medicines, rain protection, change of clothes, etc. Baby carriages are not allowed in Machu Picchu, so a kangaroo carrying backpack will be necessary if you have to take a very small child with you.